It is July, 2053. We are being watched. A powerful race of aliens from a distant galaxy has been observing mankind for untold centuries. They have now chosen to make their presence known. Are they an intergalactic ally and force of good, or a dangerous threat to our species and planet? Now, at the apparent instruction of these aliens, your core team of volunteers will be teleported to a final testing facility in space. You will have exactly one hour of earth time to pass their tests and prove that humanity deserves its place among the stars. The stakes couldn’t be higher. If you pass, their technology may offer unimaginable technological advances, but if you fail, it may mean the end of the human race. 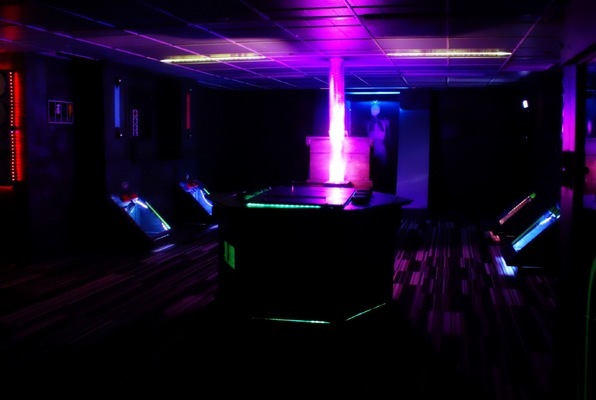 Reviews of escape game "Alien Encounter"
Great, fun experience. Really well organized and enjoyed the alien experience a lot. We ran both the Heist and the Alien Encounter at Clue Chase. Both rooms were unique and fun. The staff is great and the atmosphere in each room is excellent. We did the Alien Encounter room and it was so much fun! We didn't make it...but still fun! We will definitely be back to try the other rooms and hopefully escape! Awesome time! Five of us went and it seemed like a good number to solve the mystery with out too many arguments. The Alien room is supposed to be the most difficult and it humbled us. Great event space for a group of friends. Terrific experience trying to communicate with aliens at Clue Chase. I play lots of games when I travel and this game was top notch. I also play a lot of games solo and the team at Clue Chase went out of their way to let me experience this larger room on my own on my one day in NYC. Great customer service - all done in character as well. The staff helped me with all the puzzles that required more than one person despite being busy with other customers. The room itself was very innovative with significant tecn and gadgets and very little of the traditional open many locks of standard rooms. The theme was excellent and the room looked great. Definitely worth checking out - be ready for some cool tech and bring your A game!